First, log in. Once you've logged into Twitter, go to your settings and scroll to the very bottom. 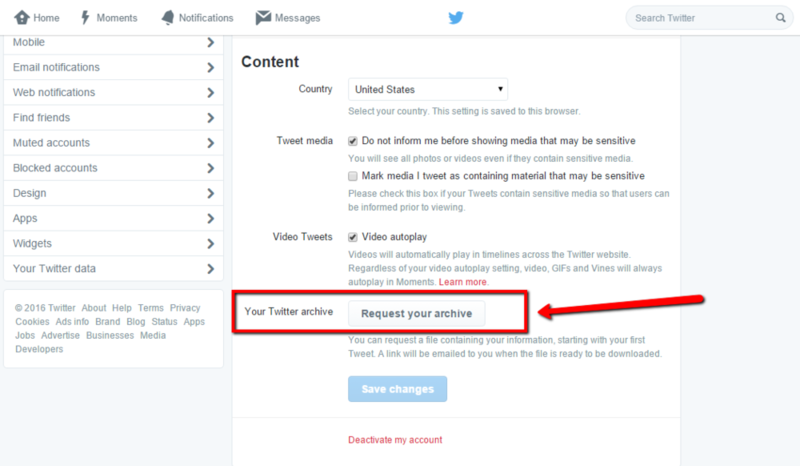 You should see a section that allows you to request your archive. Once you click on the button, you'll see a notification that verifies that Twitter is putting your report together. That's all there is to it! If you found this tutorial helpful, let us know in the comments.